When it came to politics, 2018 was a watershed year for women: A record-breaking 102 of them were elected or reelected to the United States House of Representatives, which led some writers to declare 2018 the Year of the Woman. But those high-visibility elections obscured the fact that in other essential areas—the elevation of women to C-suite positions, the diversification of corporate boards, the achievement of pay equity—women’s progress was less clear. While the cultural power of the #MeToo movement translated into electoral gains, private-sector accomplishments were harder to quantify. In, for example, finance and tech, two areas where gender issues are ubiquitous, change came—but more gradually and less visibly. No one would proclaim 2018 the Year of the Woman in Finance. So Worth decided to showcase 29 women who are breaking ground in their professions, both political and otherwise. Some have attracted publicity, but many have not. These women are leading venture capital or hedge funds, reshaping the art world, or using their skills to tackle important issues such as climate change, infant health and civil rights. One thing they all have in common? They’re groundbreakers. Focusing on museum studies, Coleman earned both bachelor’s and master’s degrees from Hampton University, a historically black institution in Virginia. 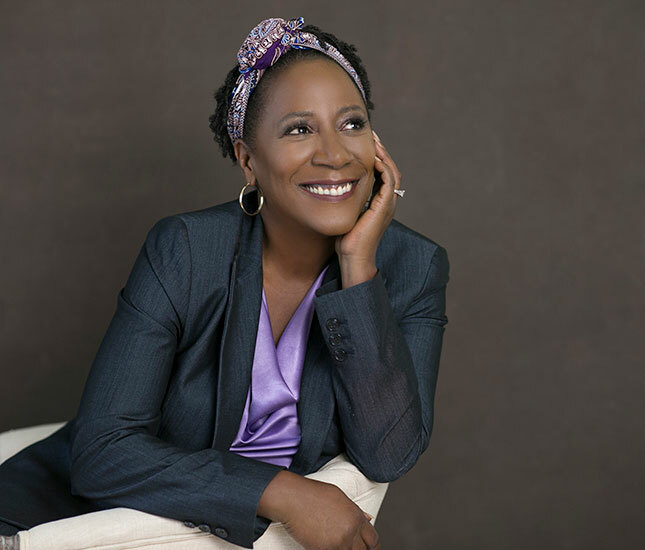 By the mid-1990s, she was the director of African American interpretations and presentations at the Colonial Williamsburg Foundation. While there, she ignited a national controversy by staging a reenactment of a slave auction. The powerful episode attracted widespread attention, which ultimately led to a job in Detroit heading the Charles H. Wright Museum of African American History. She joined what was then called the American Civil War Center in 2008. That Coleman is a black woman leading a museum about the Civil War has a particular resonance in Richmond, which was the capital of the Confederacy. Though Richmond is no longer the insular, backward-looking city it once was, the war can still feel strangely present there, and the city has struggled with the presence of massive statues of Confederate generals along its Monument Avenue. But, Coleman points out, things have changed greatly in Richmond. “Ten years ago, this wasn’t even a conversation,” she says. Nancy Zimmerman is the cofounder of Bracebridge, a $10 billion Boston-based hedge fund—the largest hedge fund by far that’s run by a woman. Only one other woman runs more than $1 billion. Zimmerman, who previously worked at Goldman Sachs under then-CEO (and later New Jersey governor) Jon Corzine, invests in debt around the world. Her hedge fund was initially backed by Yale University, which remains an investor, and former hedge fund manager Tom Steyer, another Goldman alum who has become a political activist. Zimmerman has survived some controversial deals. The government included Zimmerman in a civil lawsuit against Harvard and others relating to a grant by USAID for a program run by Harvard’s Institute for International Development. In 2001, shortly after the civil lawsuit was filed, the federal judge for the case dismissed the government’s claims against Zimmerman as meritless. Separately, in 2004, FFIA, an entity in which Zimmerman had an interest, paid USAID $1.5 million for professional services allegedly owed to a USAID-funded consulting firm based in Russia. This settled an out-of-court civil dispute between the entity and USAID. Kris Tompkins fell in love with Patagonia, the southernmost region of Chile and Argentina, when she was working for the California-based outdoor clothing company named for the region by its founder, her friend and mentor Yvon Chouinard. Now Tompkins is creating national parks in the vast wilderness area, helping restore ecologically damaged lands. After graduating from the College of Idaho, the Santa Barbara, Calif., native went to work for Patagonia, visited the region several times and eventually worked her way up to become CEO of the company. 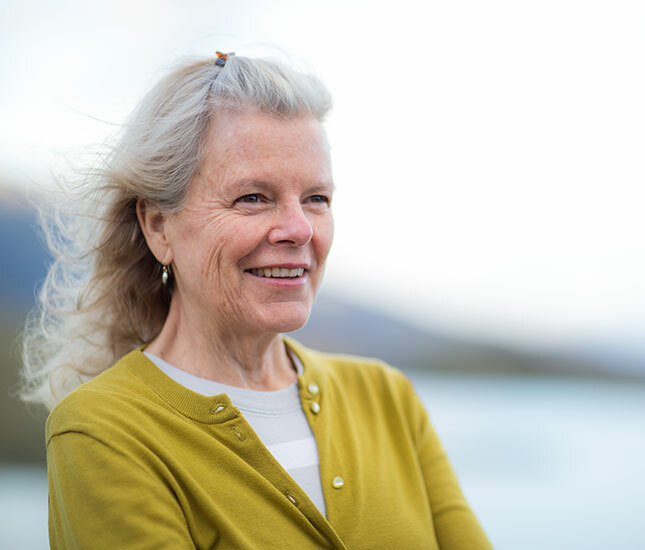 When she retired in 1993, she and her now-deceased husband, the North Face founder Doug Tompkins, moved to Chile to focus on conservation efforts there through their nonprofit Tompkins Conservation. In 2000 Tompkins created Conservacion Patagonica, a San Francisco-based nonprofit that buys up land in Patagonia with the explicit mission of building new national parks in ecologically distressed areas. Monte Leon National Park was its first success, and the nonprofit recently finished work on the Patagonia National Park in Chile’s Aysén Region to restore the devastated grasslands and protect its wildlife. In all, Tompkins has helped conserve more than 14.2 million acres of land. Shemara Wikramanayake became Macquarie’s first female CEO last year, succeeding Nicholas Moore, who stepped down at the end of November. Wikramanayake, whose Sri Lankan family moved from London to Australia when she was a girl, has worked at the world’s largest infrastructure bank since 1987. 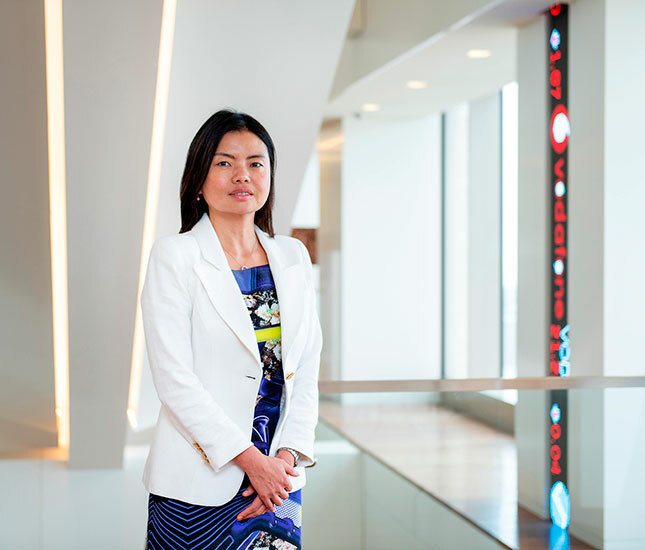 Starting in 2008, she managed Macquarie Asset Management, which has become the biggest growth engine of the bank. Its profits reached $1.7 billion last march. Macquarie isn’t known as a particularly progressive institution on gender issues, though, so Wikramanayake’s ascent is a powerful statement. She’s also the only female CEO among Australia’s top 20 largest companies. 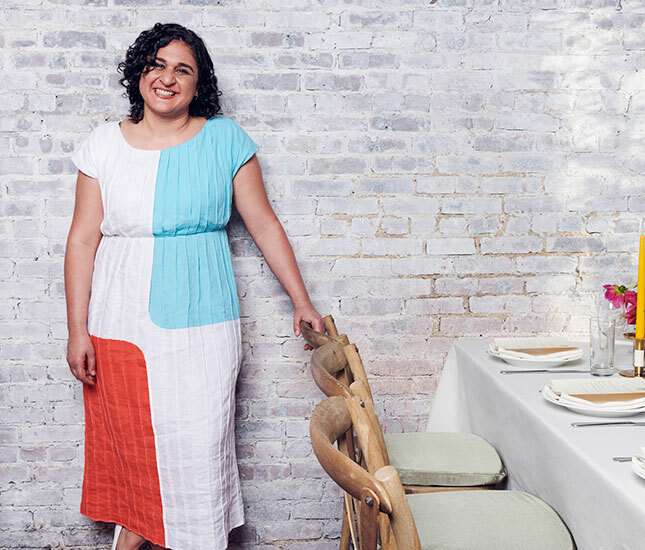 Samin Nosrat is the newest, freshest voice in the world of cooking—and an important counterbalance to the troubling number of prominent male chefs who’ve recently been accused of sexual misconduct. Last year her James Beard Award-winning cookbook Salt, Fat, Acid, Heat became the inspiration for a popular Netflix docuseries of the same name. “I’ve spent my entire life in pursuit of flavor,” she says in the first episode. She also writes a food column for the New York Times Magazine. After a decade at the preeminent Silicon Valley venture capital firm Kleiner Perkins, Aileen Lee left in 2012 to raise her own fund, and seed investor Cowboy Ventures was born. Named after her son—the name was chosen by Lee’s then 4-year-old twin daughters—Cowboy Ventures is one of the most successful woman-led VC funds; its first investment was Dollar Shave Club, which Unilever bought in 2016 for $1 billion. In 2018, the #MeToo movement and allegations of sexism in the VC world led Lee and other female VC heavyweights to form a nonprofit called All Raise, a support group for women in VC. It also seeks to raise women’s levels of funding. You wouldn’t think that promoting breastfeeding as a foundation of infant health would be political, but as Lucy Martinez Sullivan, the cofounder and executive director of advocacy organization 1,000 Days, can attest, it can be a controversial proposition. Last spring, at a meeting of the World Health Assembly in Geneva, Martinez helped disclose that the Trump administration was undermining a nonbinding resolution that called on countries to “protect, promote and support breastfeeding.” The apparent reason: opposition from business interests. “We have a U.S. government that is strongly aligned with the interests of the infant formula industry and dairy industry,” Sullivan said at the time. There are very few African American women in venture capital. 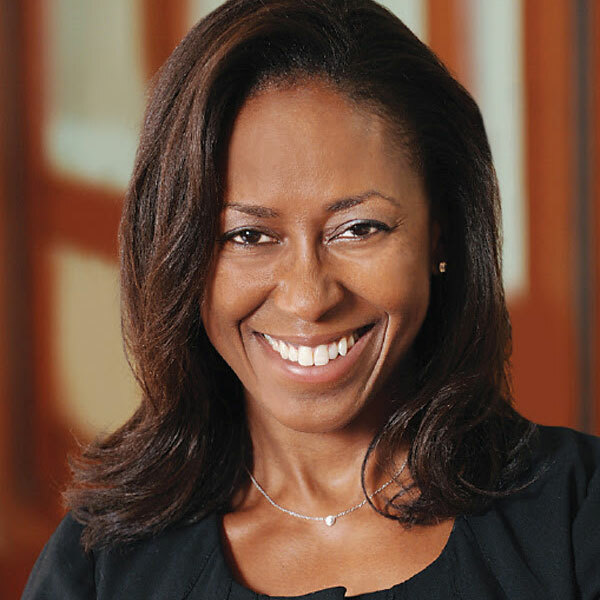 As one of them, Lisa Skeete Tatum has used her talents to create a company providing a service critical to the advancement of women in business: community support. A Harvard MBA, Tatum spent a decade at Cardinal Partners, an early-stage healthcare venture capital firm with about $350 million under management. Looking for her next act, she came to feel that there wasn’t much support for women like her who were looking for a second professional act. So, along with HBS classmate Sheila Marcelo, Tatum launched Landit, a technology platform that serves as a career management resource for women. Entrepreneur Paolo Vitelli founded Italian luxury yacht manufacturer Azimut Yachts in 1969, when he was just 22. Now, thanks to growth and mergers, it’s the world’s largest yacht company, and Vitelli is placing the company’s future in the hands of his daughter, Giovanna, a lawyer and board member since 2000, with executive responsibility for product strategy and development, as well as research and development. Some of her initiatives for Azimut Benetti Group include a partnership with Rolls-Royce for a more efficient propulsion system and an initiative to reduce atmospheric emissions. 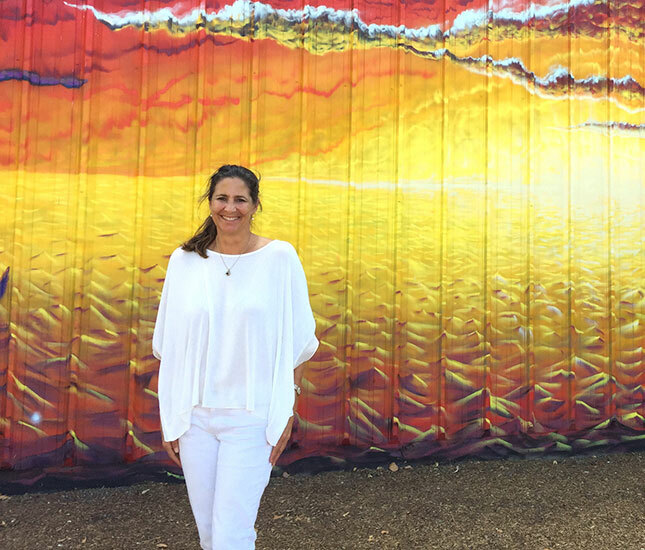 The San Francisco Bay Area native is sole owner and director of winemaking for Rarecat Wines, with production in Napa, Calif., as well as Bordeaux and Champagne in France. Harris is committed to bringing women into the wine business: She founded a group called Wine Entre Femmes, a trade group of women in wine from California and France, and cofounded A Woman’s Palate, which hosts female-targeted wine and networking workshops. 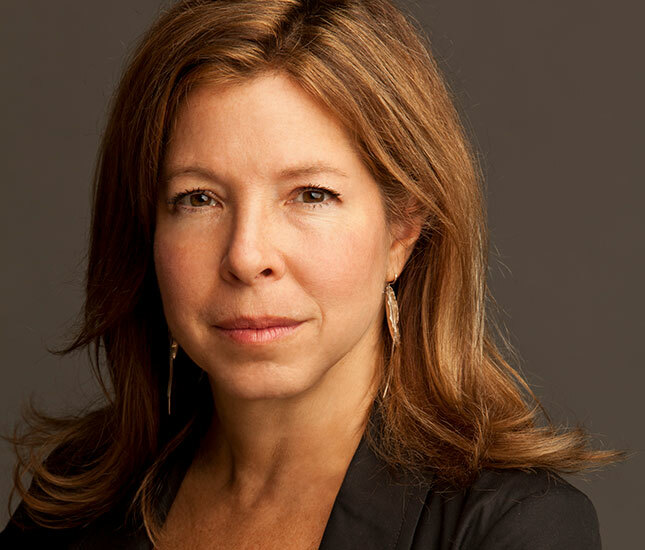 A former journalist with The Economist, Rebecca Kaden became the first female general partner at Union Square Ventures, New York City’s premier VC firm, in October 2017. Kaden is focused on fintech, and one of her first investments at Union Square was Stash, a low-cost, online investment platform based in New York. It’s hard to single out one woman in the 116th House of Representatives, given that 102 women were elected or reelected to it last year. But there are many firsts. 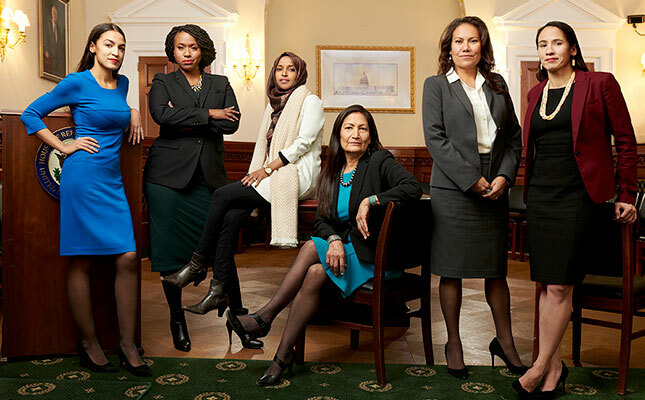 Among them: Rashida Tlaib and Ilhan Omar are the first Muslim congresswomen; Sharice Davids and Deb Haaland are the first Native American congresswomen, and Davids was also the first openly lesbian congresswoman from Kansas; Veronica Escobar and Sylvia Garcia are the first Latina congresswomen from Texas; and Ayanna Pressley is the first nonwhite member of the Massachusetts delegation. Meanwhile, Alexandria Ocasio-Cortez, who is of Puerto Rican heritage, is the youngest congresswoman ever elected. Ocasio-Cortez, quickly dubbed AOC, has made the biggest splash. The 29-year-old burst onto the political scene in 2018 when, running as a Democratic Socialist, she beat her primary opponent, a Democratic Party warhorse named Joe Crowley, to represent a district comprising parts of Queens and the Bronx. Ocasio-Cortez clearly doesn’t believe in slowly but steadily working her way up the ladder of seniority; she’s advocating for proposals such as the Green New Deal, which would be financed by raising the marginal tax rate on the wealthiest Americans to as high as 70 percent. AOC is part of a diverse group. Tlaib, a lawyer from Detroit, is also a member of the Democratic Socialists of America and the first Palestinian American woman in Congress. Omar, representing a Minneapolis district, is the first Somali American elected to Congress and the first woman of color to serve as a U.S. representative from Minnesota. Davids, a member of the Ho-Chunk Nation of Wisconsin, represents a Kansas congressional district that encompasses Kansas City. The other Native American new to Congress, Haaland, is a member of the Pueblo of Laguna from New Mexico and represents the New Mexico district that includes most of Albuquerque. Texas climate scientist and professor Katharine Hayhoe is getting the word out about what’s happening to our planet. “The most important thing you can do to fight climate change is to talk about it,” she said in a recent TED Talk. And while there are lots of climate scientists who feel the same way, Hayhoe has a distinguishing factor: She’s an evangelical Christian who attempts to connect with the very people who most doubt her research. “I don’t accept global warming on faith,” says Hayhoe, the Canadian-born daughter of missionaries; she came to her convictions by studying data. Still, she says, admitting that she believed in climate change was “like coming out of the closet.” Now, Hayhoe tries to reach unbelievers by emphasizing biblical concepts such as protecting God’s work, ideas she talks about in her book, A Climate for Change: Global Warming Facts for Faith-Based Decisions. What’s most satisfying to her? When someone “tells [her] sincerely” that before hearing her, they didn’t believe in climate change—but now they do. Since 2010, Qi Wang has been comanaging hedge funds for Newport Beach, Calif.-based PIMCO, the bond-investing powerhouse. She now oversees some $7.5 billion. Macro investing—which involves placing bets on big political and interest rate moves—has been a tough area for the past decade, but her funds are outperforming the averages. In 2018, through October, one of her funds was up 3.5 percent, according to an HSBC hedge fund scoreboard. The average macro fund lost more than 3 percent last year, according to Hedge Fund Research. Only 44 years old, Wang already has a long history in the financial industry. Before joining PIMCO she worked for 12 years at HBK Capital Management in Dallas as a managing director and partner responsible for the developed-market fixed-income business. Prior to that she worked as a fixed-income analyst at Lehman Brothers. You can’t say that Safra Catz’s ascension is a clear-cut victory for women. Catz was named CEO of software maker Oracle in 2014 when founder Larry Ellison stepped down from that position. But simultaneously, the Oracle board appointed another CEO, Mark Hurd, who’d left that position at Hewlett-Packard after having an inappropriate relationship with a female contractor. Catz and Hurd divide responsibilities. Still, Catz is one of the few women to run a tech company of Oracle’s size and influence. And she is also the highest-paid female CEO in the U.S., earning $41 million—the same as Hurd—in 2017. Born in Israel to parents who had emigrated from Romania, Catz and her family moved to the U.S. when she was 6. She graduated from the Wharton School of Business at the University of Pennsylvania, then went on to receive a law degree from Penn Law. Catz joined Oracle in 1999 after 14 years as an investment banker at Donaldson, Lufkin & Jenrette, a firm that was later bought by Credit Suisse. By 2004 she was Oracle’s president and also served as its chief financial officer. Catz is also one of the few women executives who have supported President Trump. She was a member of the Trump transition team in 2016 and was considered a candidate to replace General H.R. McMaster as national security advisor last year. 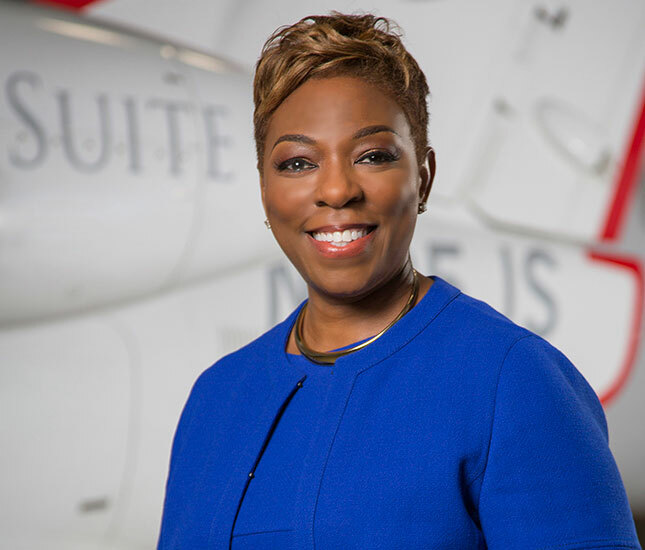 When Stephanie Chung was named president of Dallas-based JetSuite last August, she instantly became the first African American woman to make it to a top job in private aviation, a space overwhelmingly dominated by white men. Chung later joined Canadian jetmaker Bombardier, where she spent 13 years, including a stint at Bombardier subsidiary Flexjet, a fractional private aviation company. Some of those years were particularly challenging: In 2008, the beginning of the financial crisis and a disastrous year for private aviation, she was diagnosed with breast cancer. After a fight during which she was forced to confront the possibility of death, she beat it. Blackwell’s not some fancy-pants Ivy League litigator; now based in Sarasota, Fla., she attended Louisiana’s McNeese State University and earned her JD at Louisiana State. Several years ago, she began representing clients who’d lost their jobs when employers hired foreign workers as temporary, and lower-paid, replacements. Blackwell, who represents hundreds of workers in lawsuits against the companies, has also criticized President Trump for abandoning the issue, which he spoke about during the campaign. Her cases against the Miami Dolphins and New Orleans Saints reflect the cheerleaders’ growing willingness to fight back against a league that has long exploited them. That experience led Penta to focus on trust and estate law upon graduation from the University of Virginia law school in 2003. 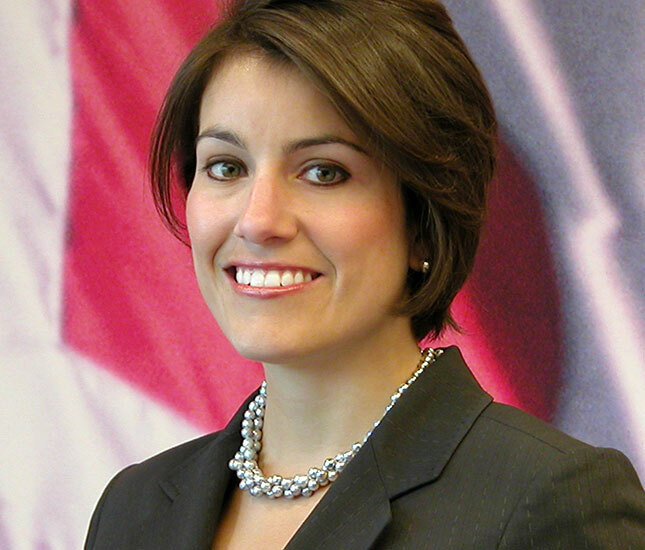 She then worked as an attorney at Choate, Hall & Stewart before joining Brown Brothers in 2008. In 2015, she cofounded the firm’s Center for Women & Wealth. The Moroccan native launched Avenue Capital with her brother, Marc Lasry, in 1995, making the firm one of the oldest alternative asset managers in existence. 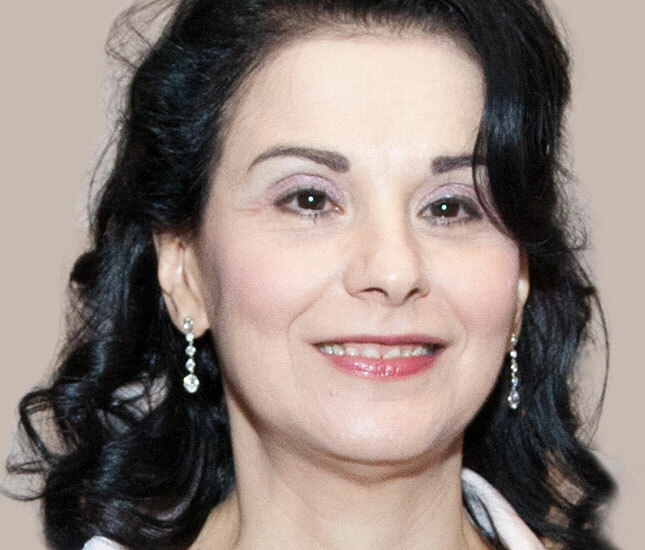 After receiving her law degree from the Cardozo School of Law, Sonia Gardner began her career as a bankruptcy lawyer at Cowen and Co. She and Lasry first went into business together in 1989, when they started a firm called Amroc Investments. In her role as president of Avenue, which has run both private equity and hedge funds that invest in distressed debt, Gardner is one of the highest-ranking women in an industry dominated by men. She is, however, less well known than her brother, a frequent public speaker who was considered a potential ambassador to France during the Obama administration. These days, Lasry can occasionally be seen playing himself in the Showtime series Billions. Gardner has taken a less public role, but no one doubts her importance to Avenue’s success. She’s also been active in the group 100 Women in Finance, where she is on the board of directors and helps mentor young women in the industry. Kat Taylor, the wife of billionaire political activist Tom Steyer, is an activist whose life is dedicated to social, economic and environmental change. She and her husband have used their considerable wealth—Steyer is the founder of hedge fund Farallon Capital—to work toward their social justice goals. A graduate of Harvard, Taylor earned a JD and MBA from Stanford. She recently resigned from the Harvard University board of overseers in protest over its investment in fossil fuels. In 1990, Claudia Goldin, one of the leading labor economists in the world, became the first tenured female economics professor at Harvard University, a promotion with far-reaching impact in a field known for its sexism. A graduate of the Bronx High School of Science and Cornell University, she completed her PhD in economics at the University of Chicago. Over the course of her career, Goldin has broken ground on everything from the economics of slavery to the growing inequality of income in the U.S. and the gender gap in wages. The economic standing of women is probably the central avenue of Goldin’s intellectual explorations, and she’s helped to provide a data-driven foundation for issues relating to wage gaps, the challenges of balancing career and family, and the varying opportunities for women in different professions. In the end, Goldin’s work points the way toward a more egalitarian, just society for both women and men. Her work has demonstrated that the wage gap is greatest in professions that demand the longest workweeks—finance, law and medicine, for example. That hurts not only women, who are far more likely than men to take time off to care for children, but also men, who must work harder to make up for their female partners’ diminished earnings. A general solution, says Goldin: greater work flexibility for all. Read about more groundbreaking women here.